Some lovely weights recorded tonight, not bad for only a 3hr 45min match..! 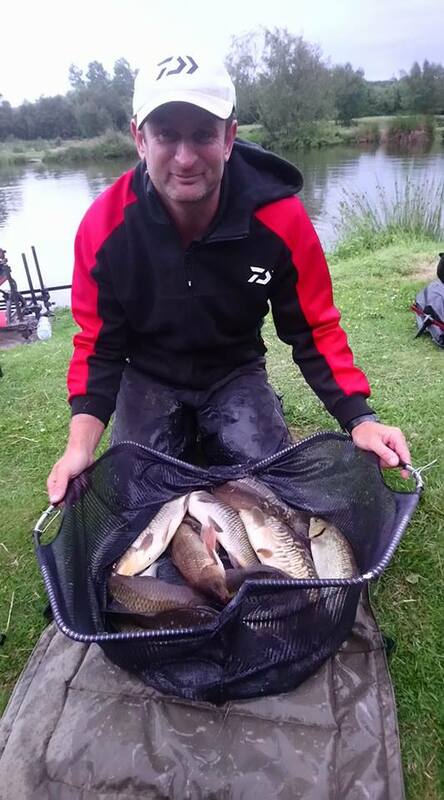 The fish were feeding well tonight, with very different bags of fish depending on your peg. 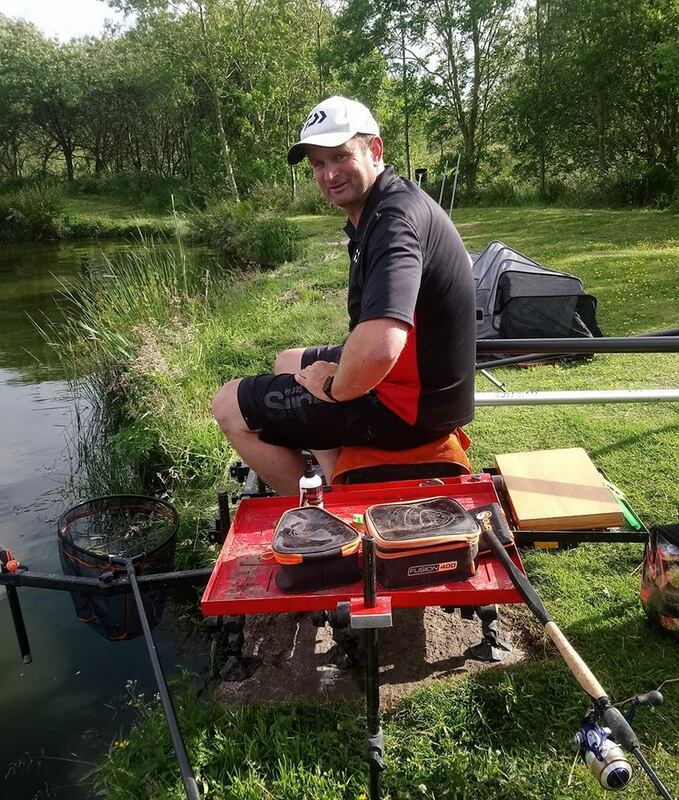 On Queensberry Water David Mcauley narrowly won the section with a tremendous net of fish, nearly all Skimmers, with a few carp and a 5lb barbel for 87lbs. 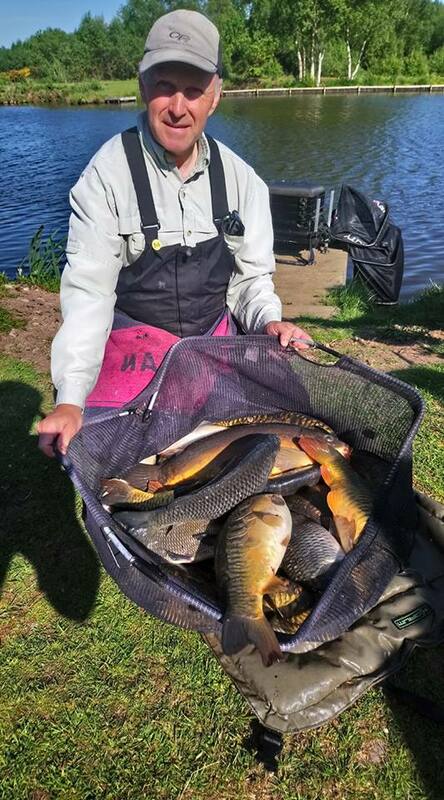 Steve Ringer ran him close with 84lbs 10oz, nearly all Carp caught on pellet/pole. The backup weights weren’t too shabby either with Ian Whitson and Steve Royle both weighing in 55lb +. Lots of chub caught tonight too, wonder where they’ve been hiding..?! On Wallace Lake it was another close one with John Williamson taking 1st place by the smallest of margins, weighing in 64lbs 8oz of carp caught on the pole, with Myles Watt right behind him on 64lbs dead. 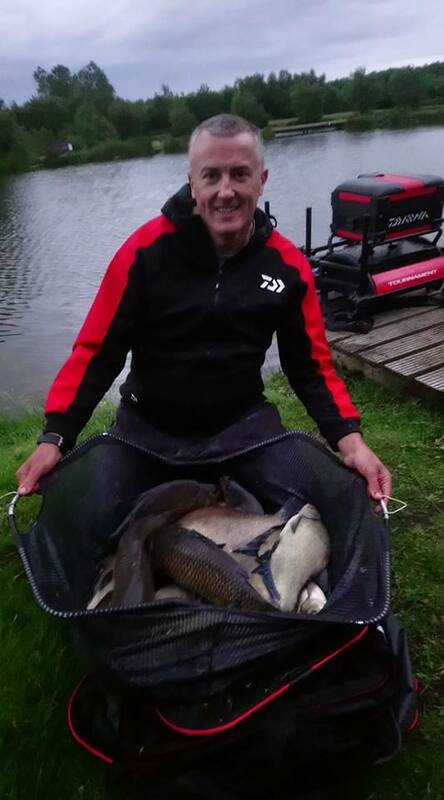 Terrific fishing tonight, and very close weights, well-done guys, and of course Steve Ringer who’ll be passing on his expertise tomorrow during his demos..!